In the North-East of the Dordogne, 40km from Périgueux, 48 km from Brive-la-Gaillarde and 60 km from Sarlat, the imposing château de Hautefort (Hautefort Castle) dominates an exceptional site on a former Roman camp. 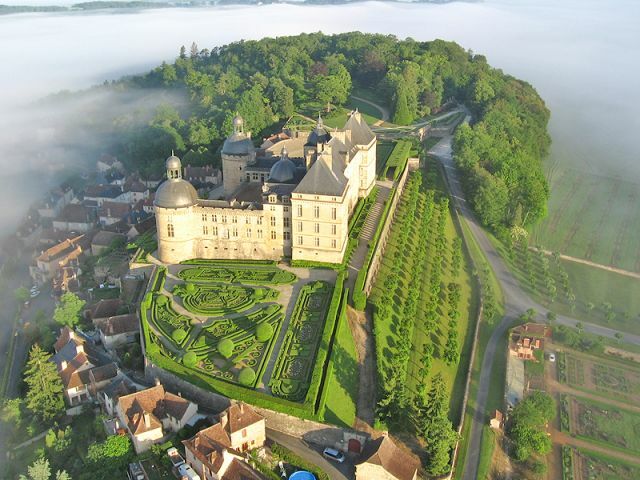 Surrounded by French style gardens, which are listed “Monument Historique” French National Heritage and by a 30 ha English style park, Hautefort is a spectacular construction mixing medieval walls and a classic structure built from 1630 to 1670. With its size and architecture, Hautefort looks like a lost Loire Castle in the Périgord in the heart of a naturally preserved environment. Annual closing: from 12th November to end of February. Open from 2pm to 6pm: weekends and bank holidays from 1st to 11th November and in March. Open from 2pm to 6pm: everyday in October. Open from 10am to 6pm: everyday in September. Open from 10am to 12.30pm and from 2pm to 6.30pm: everyday in April and May. Open from 9.30am to 7pm: everyday in June, July and August. Night tours available in summer. Auriane, our Blogger visited this place for you, you can find Auriane’s article here and her top tips that may be of help for your own discoveries. Read Auriane’s article. 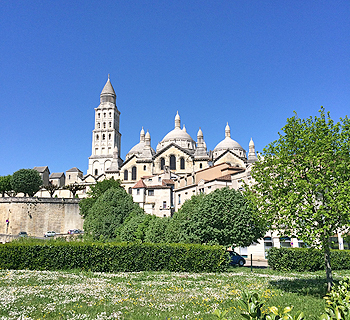 Discover all the charms of the Renaissance period at the entrance of Périgueux. 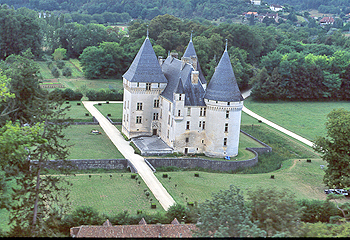 Built on the river’s edge from 1497 to 1604, le château des Bories kept one of the finest gothic kitchen in Périgord. 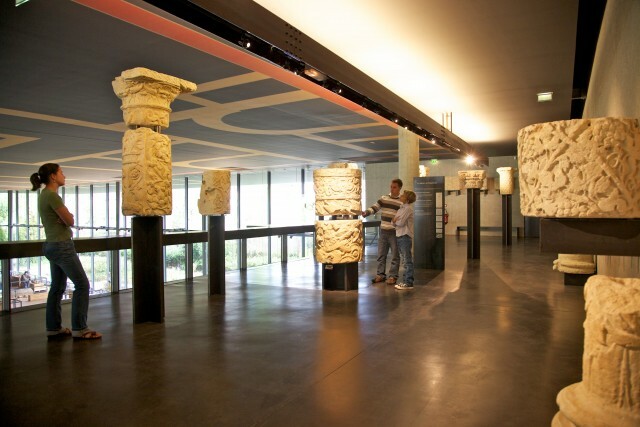 Vesunna is a distinctive Museum in France. There are remains of a rich Gallo–Roman residence inside a Jean Nouvel architecture style. It is the unusual architecture of Cathedral Saint Front that made its originality (Greek cross design). Inspired by the Byzantine style, Cathedral Saint Front was altered many times and completed at the end of the 12th century. The cathedral went throught further alterations, which did not take into consideration the original design. Today it remains a magnificent legacy of the Roman-Byzantine architecture. 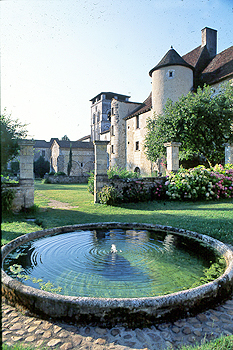 Chancelade Abbey, founded in the 12th century and located in a greenery setting at the bottom of the hills overlooking the Beauronne, is a harbour of peace. Over its history, Chancelade Abbey witnessed many wars and a lot of occupants until the revolution, when it became national property. 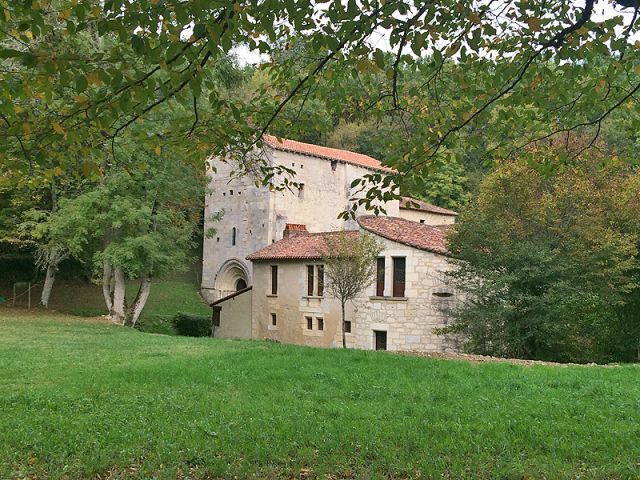 The priory of Merlande, located in a valley, at the heart of a forest, is beautiful any time of the year, and an ideal place for mediation. Founded in the 12th century by the monks of the close by Chancelade Abbey and altered in the 16th century, this fortified edifice with its arrow slits and its defense alleys is worth visiting. Once vowed to its destruction and then perfectly refurbished, next to a magnificent Logis du Prieur, the proud-looking abbey buildings are one of the Périgord’s favourite! 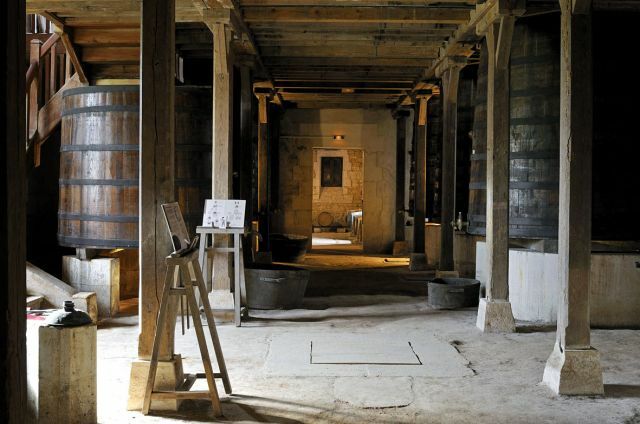 On the doorstep of St Pierre de Chignac and in a spectacular cellar dating from 1900 also listed French National Heritage, the Museum of Wine and vineyards is a compulsory stop. This industrial building dating from the 19th century, managed to keep the charms of the Belle Epoque’s constructions and safeguards a beautiful oak cask. This 5 generation family cellar, offers a collection of rare tools for the grape-pickers, wine-growers, wine merchants and barrel makers. You will follow the precise steps from the grapes picking to the barrel and you will discover all the secrets of winemaking. With many photos, posters, documents and artefacts from the 1900, the museum also related the life of the domaine and its fundator: J.H.Sécrestat, Industrial from Bordeaux and Périgord patron. His descendants will welcome you during your visit. Discover the machines and tools of the grape pickers, winemakers, cellarman and cooper in their original environment. Auriane’s tip: Night tours are organized during the summer. Activities are also proposed to the children, a certificate is delivered to the young winemakers. Read Auriane’s article.